Happy NTT, friends! Right now, I am working on two quilts in tandem. There are two upcoming weddings in my family, and like any self-respecting Louisiana natives, my cousins are huge LSU fans. 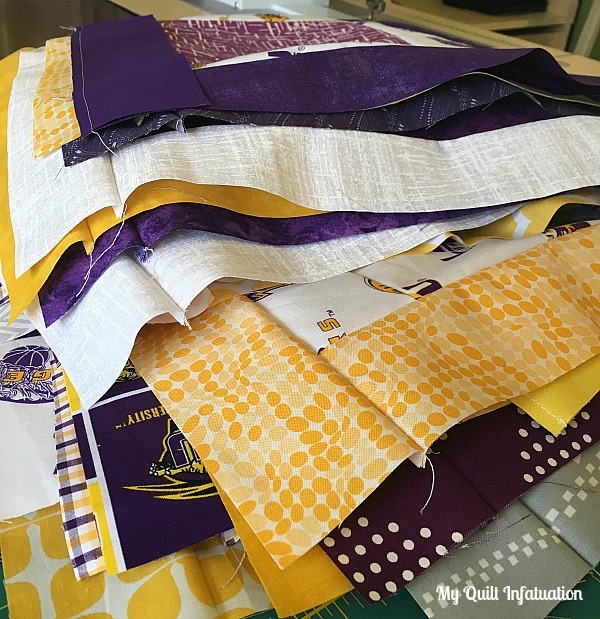 We bleed purple and gold, and these two quilts will be a fun addition to their new homes during sports seasons. I'm making both of these quilts with the Stacked Squares pattern. 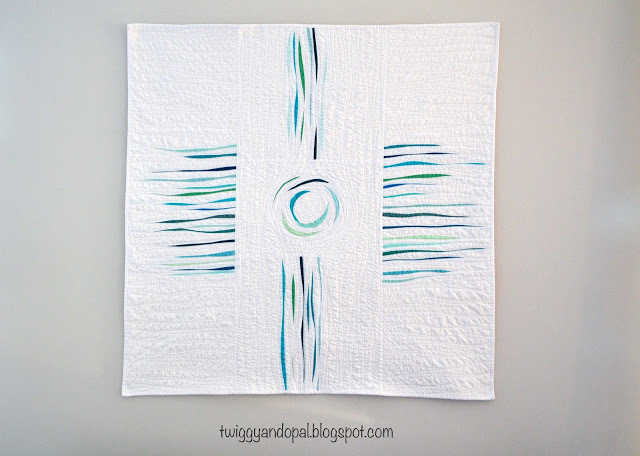 It is fun and modern, and not too girly, making it my favorite go-to pattern for sports quilts. I was hoping to have at least one quilt top put together to show, but that just didn't happen. Before we check out last week's highlights, I want to remind you that today is the last day of January, and the link party for the first two blocks of the Classic Meets Modern QAL will close at midnight tonight, so get those blocks linked up! Remember, you can link to an Instagram or Flickr page as well. Okie dokie! 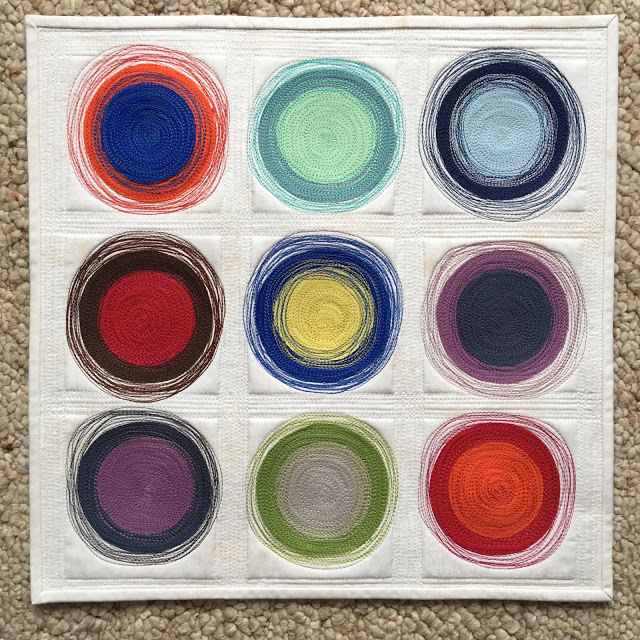 Time to take a look at some of the quilty eye-candy from last week. Nancy at Grace and Peace quilting linked up this amazing mini quilt, and I love the extra texture created with the dense quilting. This curvy improv masterpiece by Jayne at Twiggy and Opal is called Wisp, and it is just stunning! and this adorable Strawberry Social quilt is from Tanya Quilts in CO.
Alright! Let's link up, friends! Purple and Gold are my school colors as well (go Huskies!). Your quilts will be awesome! Purple and gold always remind me of sports!! Maybe not LSU...but theres plenty other teams out there with those colors! Those will be great quilts. Kudos to you for doing two at once. Nothing like a deadline to get a quilt moving. Hope you get them done with plenty of time to spare. Thank you for putting my modern circles mini up! It's headed to the silent auction next week! Purple and gold go well together. Love that yellow print with the circles.